Thanks to all who attended our 2019 Breakfast for Children’s Champions. We raised over $58,000 and counting!! Congratulations! 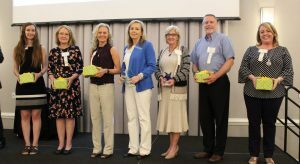 Tami Hilton was named as the 2019 Children’s Champion and Wanda Marino earned the Starfish Public Advocacy Award. This year’s Breakfast was held at Hotel Ballast Wilmington on Tuesday, April 9th. The amount raised in sponsorships, gifts and pledges supports Smart Start of New Hanover County’s work to increase the capacity of the adults who work with young children in their first 2000 days of life – from parents to pediatricians and social workers to early educators. Tami Hilton’s nominator calls her a bridge builder and a barrier remover. 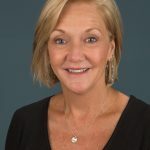 In her work with Community Care of the Lower Cape Fear, Tami’s efforts focus on the welfare and preventative health care of children, especially vulnerable populations. 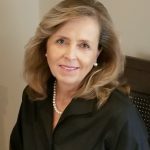 She helps to create long term, sustainable care coordination for children who might not otherwise have knowledgeable advocates in their lives. From getting hypoallergenic pillow cases for asthma management to implementing work flows with local doctors that are aligned with the American Academy of Pediatrics, she is always looking to make a child’s life more comfortable removing the barriers that prevent overall optimal health. She believes in and has worked tirelessly to create a network of community providers that are trauma informed and resiliency focused.